Armchair Gaffer: Aston Villa Fans, Would You Rather Lose James Milner Or Ashley Young? Today’s Armchair Gaffer features Aston Villa, of course. 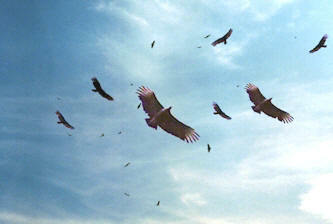 The vultures are circling. They fancy a peck or two at the carcass Martin O’Neill left behind – and who can blame them. O’Neill has gone in the night, leaving Aston Villa without a manager just days before the start of the new season. The Midlands club is extremely vulnerable. Richer clubs than Villa sensed this even before O’Neill quit, of course. The likes of Man City and Tottenham could see that MoN was unhappy with the lack of new funds for players; they could see that he would also struggle to keep his best young players. In the Premier League, standing still is a dangerous and difficult game to play. And now Villa look set to lose two of their brightest stars. James Milner is very close to signing for Manchester City, whilst Tottenham definitely fancy a slice of Ashley Young, and both clubs know now is a good time to pounce; Randy Lerner is exposed. I voted for Milner. As much as I rate him, his game is all about energy and stamina, qualities that are easier to come by than the sparks of inspiration that Young provides (albeit not as much as he should). Young stays. Milner is quality, he will go on to be a solid fixture in the England team for years to come, but he will never be world class. Ashley may never be world class either but he has shown glipses of qualities which suggest he could be one day. Bye Bye Jamie, enjoy the city bench. James wants to go (i think) and he would get us more money. Ashley is getting stale at the Villa, think he needs a fresh challenge. So Ashley to go on points! pleeeeeease, please ashley. please stay.